The group I administer, Capturing the Great Blue Heron, now has 93 members! And it's an active group of people! There are wonderful discussions, not just about the great blue heron, but about picture taking and image quality, SEO, and PhotoShop! I am astounded by the photos shared here - both for their photographic value (amazing shots) and the lessons in wildlife. 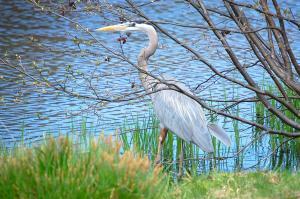 The shy and elusive great blue heron of the Northeast is apparently bold and very public on the west coast! Wonderful stories have come to light through words and photos. 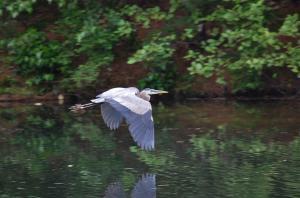 A week ago, I started a group, Capturing the Great Blue Heron. It's already grown to 35 super talented and active members! Some amazing photos and artwork of the GBH have been uploaded. In the coming weeks, I will introduce discussions about SEO and images, setting up your own website within FAA, and using the slide-show feature offerred by FAA. Although these topics aren't specific to the great blue heron, I hope they will help group members in marketing their art. Until I have my work uploaded to fine art america, visit the following sites to see my photography! I began to use a camera for artistic purpose in 2006. 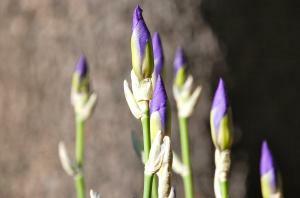 At that time, I was accepting that the dual conditions of fibromyalgia and chronic fatigue had a grip on my life and that the energy and speed I had enjoyed until then was a thing of the past. Once I came to terms with my new pace, I began to see the world in a remarkably different way. The physical world was no longer a blur in my peripheral vision. It was the central focus of each moment. With my daily energy at a premium, I began to live each moment deliberately, fully conscious of the constructs of the moment, especially the physical world around me. When I photograph nature, my objective is to record what nature presents. I do not use any digital enhancement in this work. My photographic message is that nature is astounding - that it is a beautiful but fragile presence in our lives. There are lessons to be learned from nature. It has an intelligence that is ever putting forth wisdom. My nature photography is a way of helping people to receive that wisdom and my hope is that the resulting ripple of thoughts will help sustain the natural world. 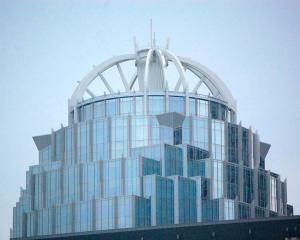 Architecture, or man�s constructions, is also a theme in my photography. Whether the subject is stone, wood, metal or glass, I see varied geometric shapes that form the shelters we create for our home and our work life. I especially like when an image captures historical perspective, such as a contemporary building that imitates ancient architecture or a line-up of buildings that reflect the architectural history of a city, or materials that have been moved from one place to another for the purpose of building. 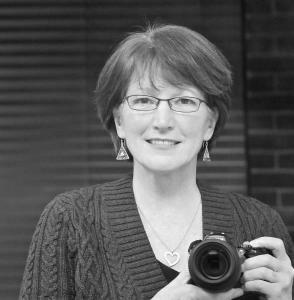 I hope my photography inspires others to live each moment consciously and deliberately, and to appreciate and preserve the gifts around us that are here for our health and enjoyment. Today I've created a new group - Capturing the Great Blue Heron. The great blue heron is a striking bird. Prehistoric in look, awkward in physique, it somehow manages to be amazingly graceful. It has strong predatory instincts. So, while one minute it can be astounding your eyes with its beauty, the next it can be horrifying you with its brutal attack on the smaller wildlife around it. 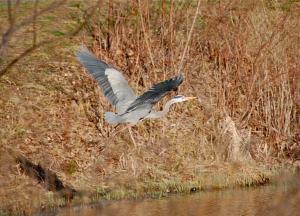 The great blue heron is a difficult bird to capture well 'on film'. Its long body and generous wingspan pretty much guarantee that one part of your image will be out of focus when taking a picture of the heron in flight. And you have to have a good camera and lens to successfully track it in flight. Often the bird will sit still along a shoreline. 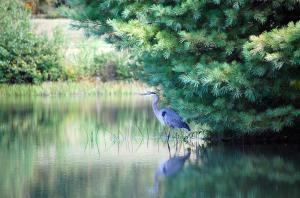 I find that at the start of a season any new heron to the pond near me will not allow me within 40 feet of it. Sometimes, though, by season's end, it will be far more tame and I can get within 15 feet of it - but then, only if it feels secure behind some scrub or it is so wrapped up in the hunt, I am not a priority to it! Then I might get a good shot - if the lighting is right! There is no staging a shot when taking pictures of wildlife around a pond, as I do. In this group, I hope that photographers and other artists alike will talk about their experiences within their craft with the great blue heron. And please share your images! Thanks for visiting this group. Hope you'll join! I've added a gallery of sky images - mostly sunsets. If you like the sky over the ocean, have a peek at these shots. Many were taken at Wallis Sands, a pretty little beach on the north shore of New Hampshire. I've added some city galleries to my site! I love to photograph architecture in any city. When I'm in a city, I feel the structure of it - the layout of the streets, the history shown in the style of the buildings, the feel of layers of history. I'll be adding more but enjoy what's there now! You'll see NYC, Boston, Philadelphia, and Lowell MA. Well, I've spent the day uploading photos from my files about a New England pond! Through the rest of the week I'll upload more - from the pond and elsewhere. Enjoy what you see on my site!